Emma joined Valley Vets in January 2004. She studied at Hartpury College, Gloucestershire and qualified as a Veterinary Nurse in 2008. Shortly after this she became Head Nurse at our Ystrad Mynach hospital. 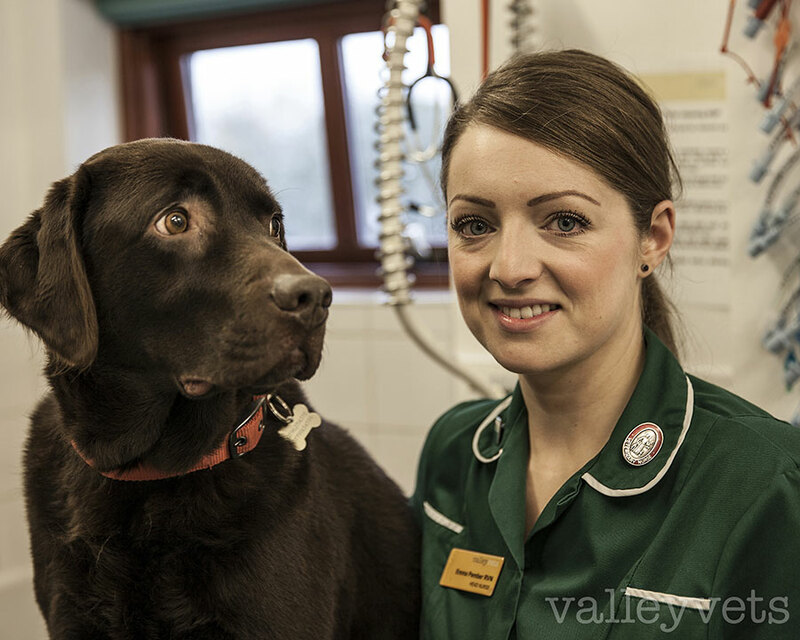 Emma enjoys the challenges every new day at Valley Vets brings and always finds her role extremely rewarding. Since working at the practice Emma has rehomed three stray kittens abandoned in a cardboard box and also a stray rabbit. Emma has a very loveable chocolate Labrador, 'Chay', who has recently kept everyone busy caring for him. He has even travelled as far as Birmingham for some of his veterinary treatment. Emma has completed a ‘Wound Management Certificate’, this had helped further develop her skills in assisting patients to successfully heal difficult injuries. Emma has always lived local to her work and enjoys being a familiar face to Valley Vets clients. From a young age Emma has had a passion for martial arts. She is currently a third Dan black belt in Taekwon-do and has previously competed internationally. Outside of work nowadays, Emma enjoys spending her free time with her family.